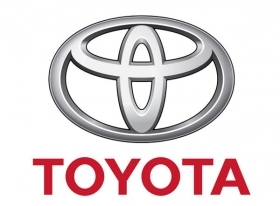 FRANKFURT (Bloomberg) -- Toyota Motor Corp., the world's largest carmaker, said sales in Europe continued to drop in December as the company struggled to reassure buyers after record safety-related recalls last year. Sales including the Lexus brand fell 1.2 percent to 67,114 cars last month, spokesman Etienne Plas said Thursday in an e-mailed statement. The company sold 781,157 cars in Europe in 2010, 11 percent less than in 2009, Plas said. Toyota's European Union market share has fallen to 4.4 percent from 5.6 percent in 2007, the last year its share rose in Europe. Consumer confidence was shaken after Toyota issued a recall last year of more than 8 million cars worldwide, largely related to unintended acceleration. The Toyota City, Japan-based company updated its Yaris and Auris compact models and introduced a hybrid version of the Auris in Europe in 2010 to win new customers. The company is “confident” it can increase sales this year, Plas said.